Tunisia benefits from its thin, slivery form, with a range of landscapes and climates causing diverse cultures, traditions, and lifestyles to develop over time. The lesser-visited south of the country possesses some major archaeological sites, impressive dunes, and caravans of nomadic peoples crossing the sands. The north contains many of the main cities in the country, located along the historic Mediterranean coast. Carthaginian and Roman ruins are found in and just outside the contemporary urban areas, which themselves blend African, Ottoman, and European influences. Many come for a beach holiday in Tunisia, but those who don't stop there are richly rewarded. Tunisia is in Africa. 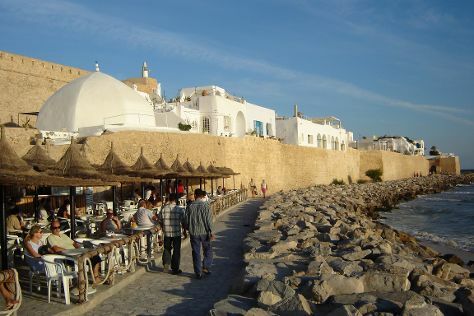 Add Tunisia and other destinations in Tunisia to your travel plans using our Tunisia trip planner.